At Redbank North Richmond, we are about people, and strengthening relationships and partnerships that support our community. That’s why we’ve teamed up with GJ Gardner Homes and rugby league legend Mark Geyer to build the GJ Gardner Variety Freedom House and raise much-needed funds for Variety — a national children’s charity that helps Aussie kids be kids. Once built, the GJ Gardner Variety Freedom House at Redbank will be auctioned off to help the families of children who are doing it tough, such as eight-year-old Jayden Taylor. Jayden is the only known person in Australia to have an extremely rare chromosome deficiency called Chromosome 14 Deletion. He also suffers from cerebral palsy, autism, seizures and bilateral congenital talipes (commonly known as club foot). As part of the Variety family, Jayden has already received financial support for a standing frame and an iPad to help him be more independent. Funds raised through the GJ Gardner Variety Freedom House will help Jayden’s family, and others experiencing similar challenges, with much-needed funds for wheelchairs, specialist equipment, therapy and medical supplies. “Every child in Australia has the right to a fair go, and money raised by this fantastic community collaboration is an exciting and innovative way in which Variety can ensure all Aussie kids get the chance to reach their full potential,” said Variety CEO David Sexton. Rugby league legend Mark Geyer and Variety grant recipient Jayden Taylor breaking ground at the GJ Gardner Variety Freedom House. 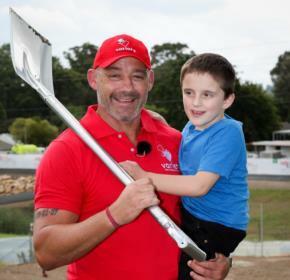 Project partners broke ground on the home site earlier this month with the help of NRL legend Mark Geyer, Jayden and his family. A generous team of tradies and suppliers will be working hard to build the house by August, ready for auction in spring. The single-story home is one of many under construction at north-west Sydney’s premier address, which is welcoming the next generation of Hawkesbury pioneers. Redbank North Richmond Project Director, Mark Regent said: “We all have an important part to play in the Hawkesbury’s future, and Redbank is proud to be setting a new benchmark for community-building”. To support Variety and help bring the GJ Gardner Variety Freedom House to life, visit www.variety.org.au to make a donation, or visit the team at G.J. Gardner Homes Sydney West if you would like to volunteer materials or trade services to this incredible project. Redbank resident and talented nature photographer Tom Walsh has been enjoying life at Redbank as one of the first to move into the Village. Tom Walsh is one of the first residents to be making the most of Redbank’s 85-hectares of heritage-protected parklands. He and wife Wendy moved from Penrith to RSL LifeCare Kingsford-Smith Village to enjoy a more rural lifestyle and still enjoy being near the Blue Mountains. A nature-lover and keen observer, Tom is getting to know Redbank’s people and places thanks to his passion and talent for photography. Tom received his first camera as a child from his father, but admits his love of photography grew when his son was born. This spark was further flamed 10 years ago when he attended a workshop with acclaimed Australian landscape photographer Ken Duncan. Tom has since nurtured a love of nature photography, especially birds, and is out and about regularly snapping Redbank’s wildlife and ever-changing scenery. He also enjoys photographing people, not least his two granddaughters, and has already met a number of new and future Redbank residents at NRJV events. Having acquired his skills using film, Tom says today’s digital cameras have enhanced his ability to capture quick-moving birds and other wildlife in our beautiful Hawkesbury region. We look forward to bringing you more of Tom’s incredible images in future editions. 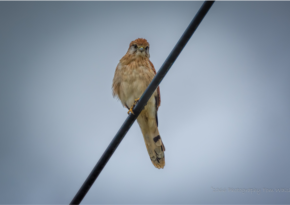 A beautiful Nankeen Kestrel Tom Walsh snapped at Redbank recently. So passionate is Tom Walsh (featured above) about Redbank’s nature and wildlife, he is kicking off a birdwatching walk in April. The first of what we hope are many walking groups will explore the rolling hills and heritage-protected parklands on the doorstep of Redbank. Tom will educate walkers on various bird species, how to recognise bird sounds and habits, and common pitfalls when birdwatching. He will also share tips for taking the perfect bird photo. Governor Arthur Phillip first explored the Hawkesbury region in 1788 and was so impressed by the soil quality that he literally wrote home about it. 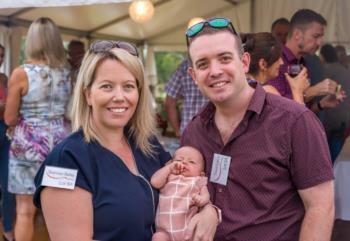 Growers are still making the most of the district’s rich soil, with groups such as Hawkesbury Harvest promoting the benefits of eating local, seasonal produce. Let us know if you have a snippet of Hawkesbury’s rich heritage we can share. 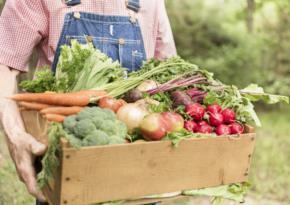 There’s a treasure trove of fresh local produce on our doorstop in the Hawkesbury region, with a number of markets to choose from. From birdwatching to bushwalking to yoga and fitness, everything you could want in the great outdoors is right here on our doorstep at Redbank. What to bring: water, sunscreen, binoculars and a camera or smart phone to take pics. 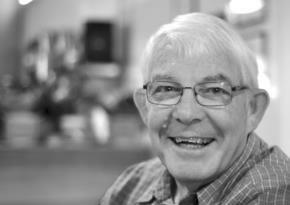 snapped at the Belmont Meet your Neighbours long table dinner earlier this month. We are excited to announce six clients are settling this week. If you have purchased a new home, now is the time to see your lot before the site is temporarily fenced while the slabs are laid. Please note that McDonald Jones cannot begin construction until they receive the ‘Authority to Commence Construction’ letter from your bank. We recommend contacting McDonald Jones ASAP. For any questions relating to this or your building contract, please contact Elif Kaplan via email at ekaplan@mjhmulti.com.au or on 02 8808 7467. The nine purchasers already registered will be settling their properties in the next couple of weeks. Our solicitors, Thomson Geer, have contacted your legal representatives notifying them that settlement will be within 14 days. Fantastic news for everyone in Stage 2, with the release of section 73-certificate required for lot registration earlier this week. Once checked off by Council, this will be lodged with LPI. This process is expected to take three to six weeks. Our solicitors Thomson Geer, will contact your legal representatives to notify them of registration. 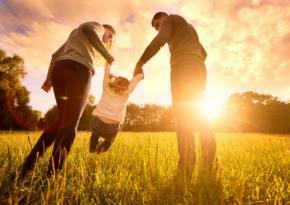 A workshop has been scheduled with Sydney Water on 5 April to resolve water connection solutions for our Stage 3 purchasers. The goal is to identify the preferred option and set a path forward towards delivery of water infrastructure. Congratulations to new purchases of 12 lots who have bought in the last two weeks! Civil works are still on track to commence by mid-year. We have great news that all site works are now complete, with civil construction expected to commence mid-year. We will continue to keep purchases updated during this hold period. We have taken on feedback from the recent Meet your Neighbours dinner and will be conducting site inspections during construction. Just a note to thank Community Manager Brooke Taylor for her hard work and community involvement in the early stages of developing Redbank North Richmond. Brooke has moved to a new role so please direct any community inquiries to community@nrjv.com.au or phone 0481 987 370.